On 22 January 1993, State Street Global Advisors launched the first ever exchange-traded fund or ETF. The Standard & Poor Depository Receipt (SPDR or “spider” for short) tracked the S&P 500 index and allowed investors everywhere an easy way to invest in 500 of the most successful U.S. companies with just one stock. If you invested in these 500 companies individually, the transaction fees alone would cost you thousands of dollars (not including your capital outlay). But with the ETF, you can have a stake in all these great companies for just US$200. Today the SPDR S&P 500 ETF is still the largest exchange-traded product in the world with over US$180 billion in net assets. In Singapore, State Street Global Advisors introduced the first ETF in Singapore with the SPDR Straits Times Index on 11 April 2002. Today with just S$300, you can own 30 of the most successful Singaporean companies with the STI ETF. On 29 April 2015, we saw a breakthrough development when the Monetary Authority of Singapore (MAS) reclassified a certain number of ETFs from the status of Specified Investment Product (SIP) to Excluded Investment Product (EIP). As its name ‘excluded’ suggests, EIPs are subject to less regulatory scrutiny and this would make it easier for retail investors to invest in ETFs. 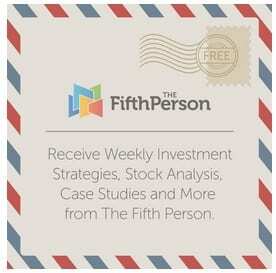 There literally hundreds of various ETFs out there to suit every investment need and profile. But for the purpose of my writing, I will be touching on a handful of the more common ones from Singapore and the U.S.
For the novice investor (and also as a refresher for the experienced investor), let us define an ETF. An ETF is defined as an open-ended investment fund with underlying assets that are listed and traded on a stock exchange. In other words, an ETF is like a mutual fund whose shares trade like a stock. The assets of the ETFs are the component shares of the index (or sector, industry, commodity, etc.) which it is replicating. Is the job of the ETF manager to rebalance its portfolio along with changes in the index. This is known as tracking the index and the accuracy to which your ETF manager tracks the index is known as tracking risk. The lower the tracking risk, the better. Passive ETFs. This is the most common type of ETF which tracks an index. It does not attempt to outperform the market because it is the market. Active ETFs. The ETF manager uses strategies to aim to outperform the market. Leveraged ETFs. These can be passive/active funds but the use of leverage means your gains are bigger (and this applies to losses too). Inverse ETFs. These can be passive/active funds. The ETF makes money when the index is down and vice versa. This is useful for markets that ban short selling. Volatility ETFs. This ETF tracks the volatility of an asset. In other words, it makes money when the underlying asset price moves up or down, as long as it moves. Volatility ETFs are more hedging and/or speculation purposes and is for highly sophisticated investors only. I won’t be covering this at all in my follow-up articles. The SDPR S&P 500 ETF and the STI ETF are examples of passive ETFs that track the index. Each of these ETFs can be applied for different investment strategies for different portfolio requirements. Equity. Besides broad-based equity indexes like the STI and S&P 500, there are ETFs which track sector/industry specific indices such as the S&P 500 Energy Index or the S&P 500 technology Index. Commodities. Gold, silver, oil, copper and other commodities have their own indices for ETFs to track. You can save on storage and insurance fees by buying an ETF to gain exposure to a particular commodity. Currencies. The ETF tracks a particular currency like the US dollar, Euro, Yen, etc. This is good to use as a hedge for your foreign currency exposure without the need for complex forex transactions. For example, if you think that the USD will weaken against the SGD, you can buy the DB USD Index Bearish ETF (UDN) as a hedge to protect the value of your SGD portfolio. We already know that buying through ETF gives us a cost advantage when building a diversified portfolio. This is especially useful when you don’t have a strong preference for individual shares but you would still like to invest from the growth of the overall market. For example, you might be bullish on the U.S. market but instead of choosing between Apple and Pfizer, you can just buy the SDPR S&P 500. In a stroke, you own both shares and the rest of the S&P 500 index in just one transaction. Another advantage of ETFs is the premium and discount volatility. In other words, you might be able to buy Apple slightly cheaper through an ETF than what Apple shares are trading for on the NASDAQ now. So why is there a premium/discount for ETFs? There are two prices for the valuation of an ETF. The first is the market value of the ETF itself. For example, the market value of the STI ETF itself is $3.00 per share. The second price is the net asset value (NAV) of the ETF. For the STI ETF, the NAV is based on the prices of the different holdings of the 30 top Singaporean companies in the index. Theoretically, the NAV should equal the market price of the ETF. However this is not always the case in reality. You can actually buy the ETF at a slight discount to the NAV. As a general rule of thumb, the more established and liquid the ETF is, the less chance that you can buy it at a discount. This would apply to premium side of the equation when you are selling an ETF. The Morningstar wording can be confusing so let me clarify. High discount means premium and low discount means discount. In 2014, the average discount for the Vanguard 500 Index Fund was 0.02% discount. The maximum discount was 0.04% and the maximum premium was 0.02%. For the SDPR S&P 500, the average discount was exactly 0.00%. The maximum discount was 0.05% and the maximum premium was 0.02%. In other words, for the majority of 2014, the SDPR S&P 500 was more efficient than the Vanguard 500 Index Fund at managing the value of its NAV to its market price. However, there was at least one point in 2014 where SPY slipped up and offered at steeper discount than VOO but it recovered very quickly. In other words, if you are a bond investor, you can get a good discount if you buy at the right time. You can also sell above the market price if you sell the ETF at right time. In this example, the premium was 6% higher than the market price in December. List of Selected ETFs in Singapore and the U.S.
With its advantages in cost and diversity, ETFs have rapidly gained popularity with investors and have grown from its founding equity asset class to include a wide variety of asset classes. Here is a list of 8 Singaporean ETFs – some of which I’ll be covering in the weeks to come. Some of these ETFs are eligible for purchase using CPF for your ordinary and investment accounts. Of note, SPDR Gold Shares are dual-listed on the SGX and NYSE. For the SGX-listed version, it is eligible for CPF purchase. Overall this list of ETF provides comprehensive coverage of the ETFs that are available in the market for the majority of investment portfolios in Singapore. These U.S. ETFs cover most asset classes and I’ll be covering some of them as well in the weeks to come. Till then, thanks for reading this and I hope you enjoyed this quick introduction on ETFs.